Munich - Matchday 6's round of Saturday fixtures threw up a number of surprises, with teams that had stuttered into the new season picking up maximum points. VfB Stuttgart finally got off the mark, while Bayer 04 Leverkusen and Hamburger SV also tasted victory. 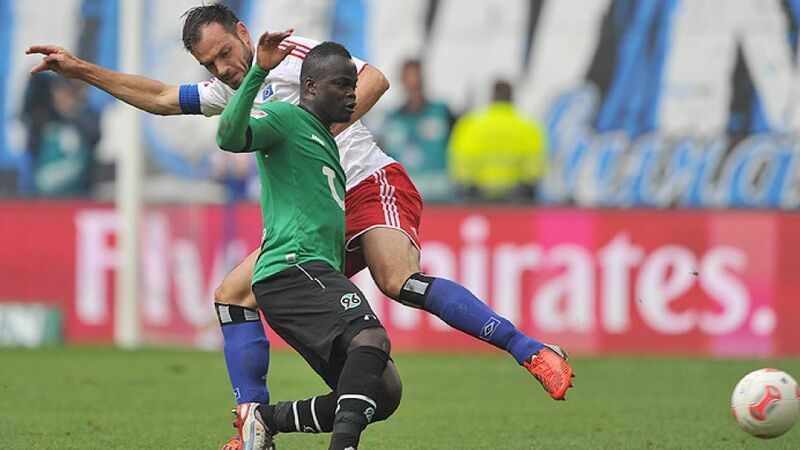 Elsewhere, ten-man TSG 1899 Hoffenheim were forced to settle for a point against bottom club FC Augsburg. Looking to tank up on points against the Bavarian strugglers, Leverkusen found chances hard to come by in the early stages. The returning Karim Bellarabi was seeing plenty of possession on the right-hand side, but Fürth's heel-snapping banks of four were doing a good job at restricting the space for the lively Leverkusen winger. The first half ambled to a close in similar fashion, with Leverkusen - as they have failed to do for much of the season so far - unable to convert promising periods of keep-ball into chances. The half didn't entirely pass Fürth by, though, as left-back Manuel Schmidtgal bundled to the byline, only to loft a chipped effort past the far post when a simple ball across goal looked the better option. Sami Hyypia's decision to replace Bellarabi with the more direct Sidney Sam turned out to be an inspired piece of tinkering as the Leverkusen substitute led a blistering counter and kept a cool head to tuck the ball under Max Grün for 1-0. Die Werkself should have been further ahead three minutes later, but Stefan Kießling dallied for far too long in front of goal. The home fans were celebrating again before too long, with another counter proving Fürth's undoing. Sam ripped a hole in the Fürth back four, and finished the move by stroking Dani Carvajal's pass into the bottom corner. Grün stuck out a boot to prevent Kießling from adding a third, as Leverkusen coasted across the finish line after a routine afternoon's work. On the day of their 125th anniversary, Hamburg were understandably keen to secure a positive result, but it was Hannover 96 who controlled the opening stages. The unmarked Karim Haggui should have done better nine minutes into the game when Rene Adler saved his header from the edge of the six yard box. However, following on from their impressive performances at Borussia Mönchengladbach and Borussia Dortmund, the hosts were solid in defence and looked sharp when in possession. Indeed, Thorsten Fink's men exploited their first opportunity when Artjoms Rudnevs coolly finished a classy one-touch counter attack. Sergio Pinto wasted the visitors' best opoprtunity to equalise just before the end of a tense first half in which chances were largely at a premium. Rudnevs squandered the chance to double the lead after the interval after an expert pass from substitute Maximilian Beister. At the other end, Didier Ya Konan came close to levelling with an acrobatic scissor-kick seven minutes later. Hamburg were on the back foot for much of the second half and lucky not to concede when Mohammed Abdellaue twice only had Adler to beat and Michael Mancienne cleared Lars Stindl's volley off the line. The closing stages saw chances for both sides to find the net, but careless finishing ensured it was the hosts who took maximum points. Marcos Antonio was one of four new players in Nuremberg's starting eleven after Wednesday's 4-1 defeat to Hannover 96, but was substituted in the 16th minute after sloppily assisting Vedad Ibisevic to score after only 28 seconds and gifting Raphael Holzhauser a chance just ten minutes later. With the guests in front, Nuremberg tried to up the pressure as the first half progressed, but a lack of cutting-edge in the final third of the pitch was their downfall, with Almog Cohen missing the home side's best opportunity when his shot from 20 yards forced a brilliant reaction from Sven Ulreich. For all their possession, Nuremberg struggled to make much headway. Raphael Schäfer was called into action to save Holzhauser's rocket, while Ulreich cleared Hiroshi Kiyotake's free-kick at the hour mark. However, the home side were caught cold 15 minutes from the end when Martin Harnik slotted in Ibisevic's pass to seal Stuttgart's first win of the season. The home side failed to seriously threaten Stuttgart's stiff defence in the final stages and were lucky not to concede another when Arthur Boka missed from close range just before the final whistle. With the fans united in their thoughts at kick-off for 1899 Hoffenheim's Boris Vukcevic, who suffered life-threatening injuries in a road crash on Friday afternoon, the game understandably took a while to kick into gear. Slowly but surely, though, Hoffenheim began to find their stride as Takashi Usami sent a rising drive narrowly past the post from 20 yards. As the hosts turned the screw, it was no surprise to see roving left-back Fabian Johnson heavily involved, with only Jan Moravek's intervention preventing the American's cross from finding the head of Joselu. Augsburg flew out of the second-half blocks, but the linesman's flag was on hand to deny Moravek as he homed in on Koen Casteels' goal. Little by way of scoring chances followed as the two sides dug their heels in, unwilling to give each other an inch in the respective final thirds of the field. Both coaches must have sensed the points were there for the taking, but neither the introduction of Hoffenheim's Sejad Salihovic nor Augsburg's Aristide Bance managed to raise the standard. Indeed, Salihovic had the complete opposite effect for the home side, with the midfielder's straight red card for an ugly-looking challenge on Tobias Werner ensuring a nervy finale in Sinsheim.